Arriving at retailers this month is this all new colorway of the Air Max CB34, making use of the OKC Thunder's team colors. Arriving at retailers this month is the classic Air Max CB34 in this all new clean colorway. Perfect for any type of OKC Thunder gear, this all new pair sports a predominantly black upper, along with hits of white working throughout. Glass blue comes together with orange on the pulltabs and continues to be seen on branding throughout. Glass blue continues it's job on the air unit below, while the OKC Thunder-inspired color combo continues to be seen on the outsole below. 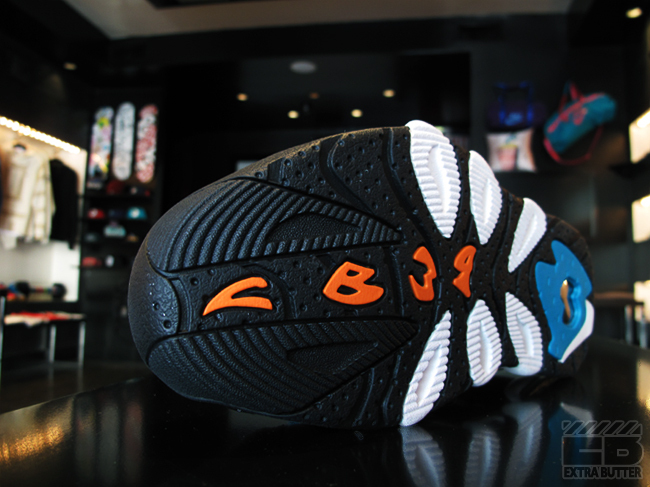 Look for this all new colorway of the Nike Air Max CB34 to arrive at select retailers this month.